Four Comcast groups in Pennsylvania are represented by Local 13000: Comcast Alle-Kiske, Comcast South Hills Techs, Comcast South Hills CSSR, and Comcast Corliss. 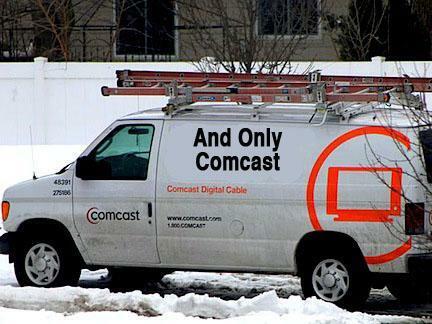 The Tentative Agreement was ratified by the Comcast Alle-Kiske bargaining unit. The new contract will expire on May 21, 2020. The Tentative Agreement was ratified by the Comcast South Hills Technicians bargaining unit. The new contract will expire on November 6, 2020. The CWA Local 13000 Bargaining Team reached a Tentative Agreement with Comcast over the South Hill Technicians' contract on Wednesday, October 4, 2017! CWA Local 13000 began negotiations with Comcast on behalf of the South Hills bargaining unit on Tuesday, October 3, 2017. The CWA Bargaining Team met with Comcast this week and reached a Tentative Agreement! Check with the Local 13000 Union office for the latest updates. The Union Bargaining Committee met with the Company on Wednesday, July 12, 2017. Make sure you have submitted your strike relief form to your Local 13000 Union office. After a lengthy break due to scheduling conflicts, the Union Bargaining Committee met with the Company on Tuesday, July 11, 2017.